The TYAN S8212 supports Dual AMD Opteron 2300/2400 series processors and up to 128GB REG/ECC memory. 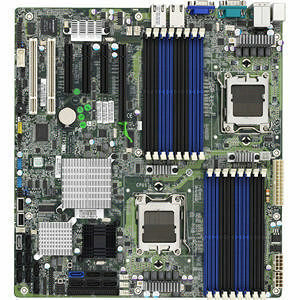 The TYAN S8212 is configured with 3 GbE LAN ports, one IDE connector, 6 SATA-II connectors, 8 SAS connectors and 8 USB ports. The S8212 offers exceptional performance for your server platform needs.